before bed: worm juice and baked beetle bread. 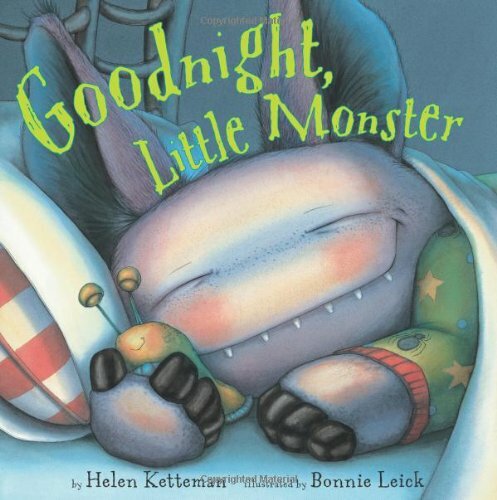 And, of course, Little Monster’s mother is nearby to tuck Little Monster into bed and turn on his night-light—because even little monsters can be afraid of the dark. Bonnie Leick’s soft, child-friendly illustrations rendered in watercolor bring a new and quiet twist to the evening’s bedtime ritual. Sweet dreams, Little Monster!